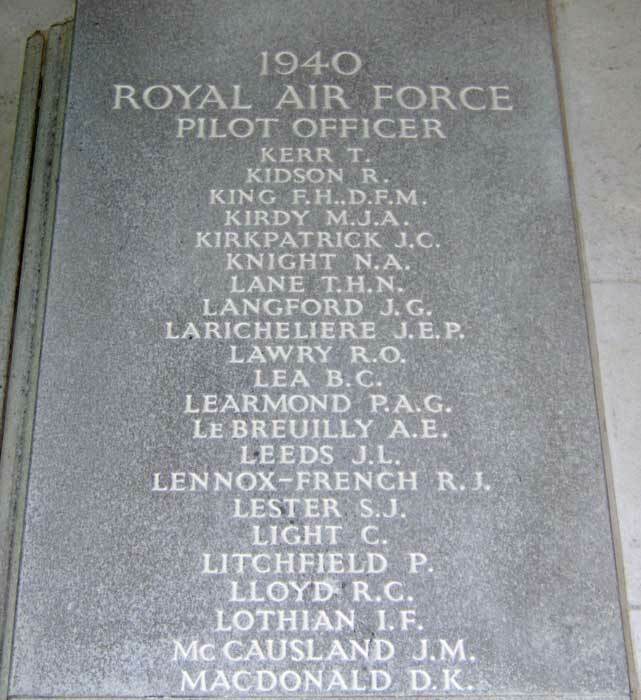 Peter Litchfield was born in Croydon on 30th April 1915 and joined the RAFVR about December 1937 as an Airman u/t Pilot. Called up on 1st September 1939, he completed his training, was commissioned and joined 610 Squadron early in 1940. On 14th July Litchfield severely damaged a Me109 in an action off Dover. The pilot baled out and the aircraft crashed near Boulogne. On 18th July Litchfield was shot down north of Calais over the Channel in Spitfire P9452 by Hptm. Tietzen of II/JG51. He was reported 'Missing', aged 25. He is commemorated on the Runnymede Memorial, Panel 9.